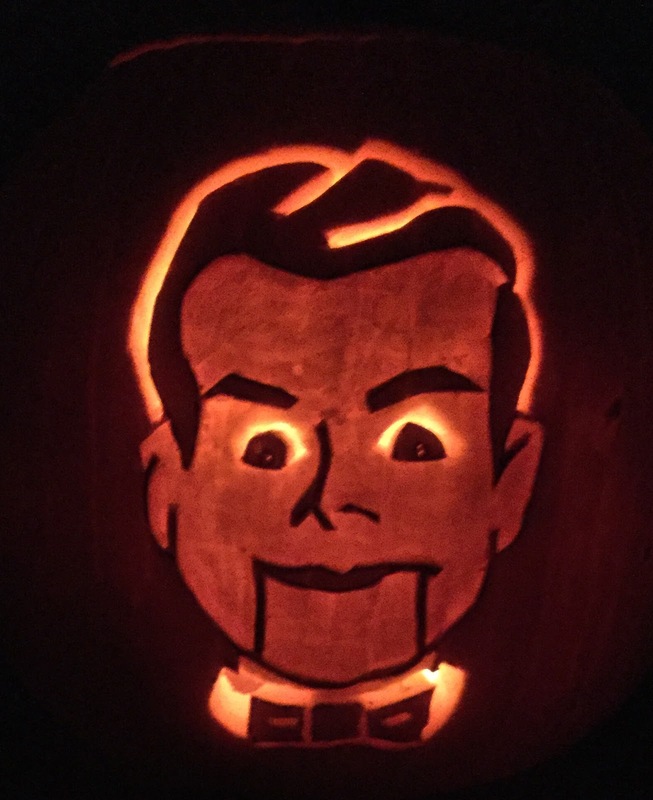 Happy Halloween to every one who celebrates the creepy holiday! I love the day for it's inherent fun. Costumes and candy! There is no downside. But my particular niche of Halloween is jack o'lanterns. 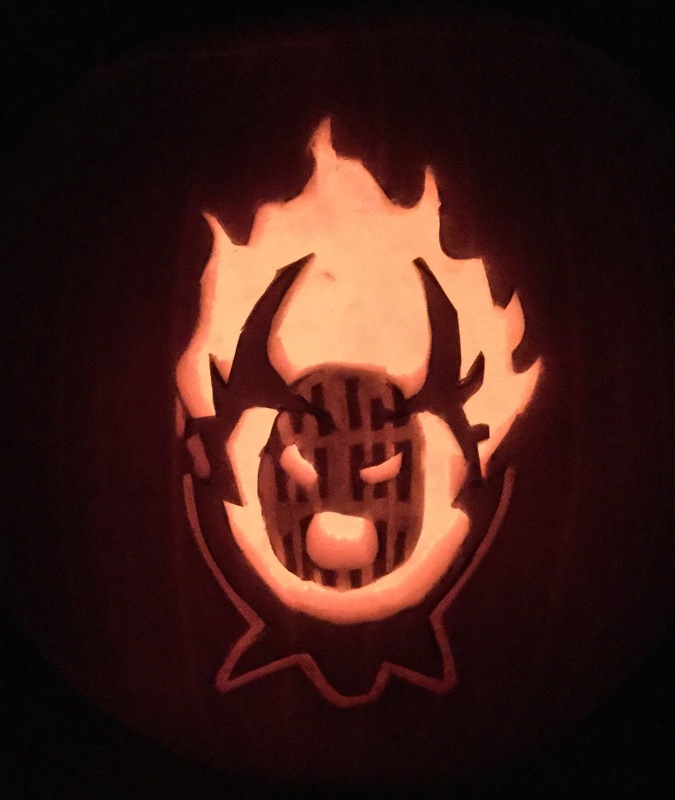 Every year I plan out a couple of pumpkins to carve and I try to elevate my game. I usually try to include one specific comic character having done Supergirl (duh), Flash, Reverse Flash, Rocketeer, Sensor Girl, and Wildfire in the past. This year, blog friend Ryan Daly recommended that I honor the passing of Steve Ditko with one of the lanterns. Folks know that I love Ditko's DC stuff - Shade the Changing Man, Hawk and Dove, the Question, and Stalker are all faves of mine. But this is Halloween. So it seemed more appropriate to pick something more horrific. 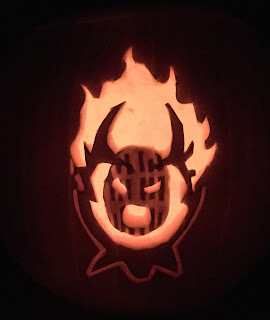 What could be more nightmarish than The Dread Dormammu! I am pretty stoked about this lantern as it tool a lot of fine and delicate knife work. That head is basically floating except for the horn connections so that it precarious and unstable. One of my favorites no doubt. So what else did I do? My nephews are obsessed with Goosebumps and, in particular, the living, scary ventriloquist dummy Slappy. This one also came out well, creepy enough to be perfect for Halloween. And my least favorite of the year, Pink Diamond from the Steven Universe series. I didn't think out the eyes well enough. Pink Diamond should be happy and bubbly. This looks a bit more robotic. Still, the carving of the sleeves and hair was a good challenge and a sort of new skill. Hope everyone gets more treats than tricks! 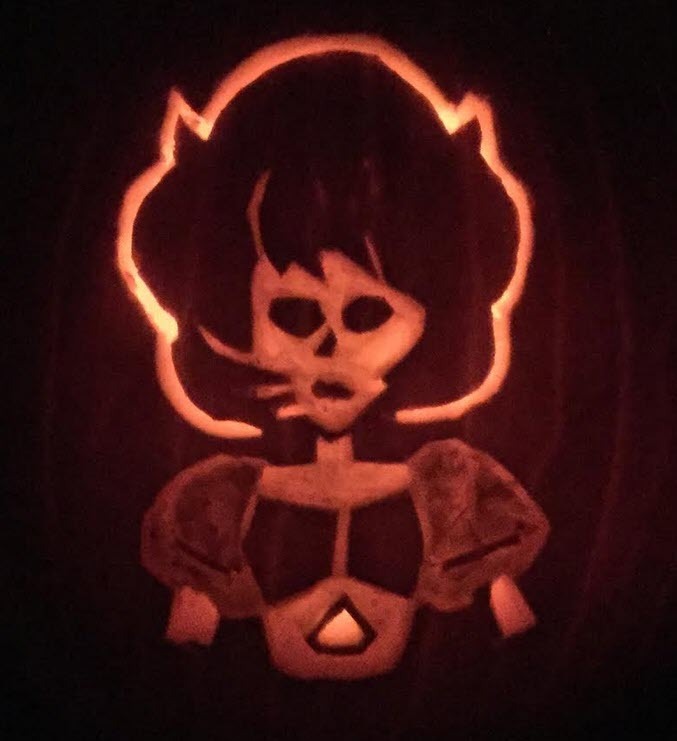 Well, Pink Diamond looks scary. So I guess you can say she fits in with Halloween's spirit. Dormammu looks out of a Ditko's page. Great work! I never watched Goosebumps, but good work. Off topic... Andj, have you visited Laurent Faust's twitter recently? Her profile pic right now is a close-up view of her DCSHG Supergirl. Kara looks like she is in the middle of a fight, there's a fire burning behind her, and and she looks ANGRY. I'm intrigued. Anj, you get better and better, that Dormammu is dreadful, in the best way! Ever seen "The Supreme Decider" (AKA "Sude") from ye old Ditko book "Shade: The Changing Man"? Show News: Elseworlds And Lex!